"The rain stopped just in time to start Megan and Cody’s picture perfect wedding. This looks like it was such a beautiful day and their perfect details were absolutely amazing. The Bogle Farms venue had the most stunning back drops and the love these two had for one another shined through like none other." 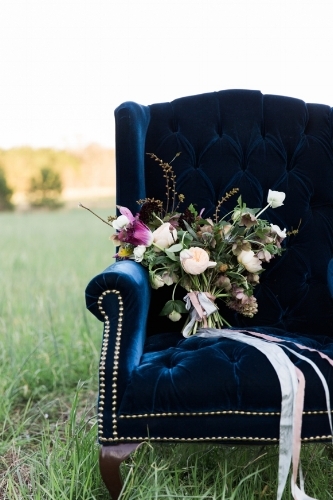 Inspired by the book “Winter is not forever”, stylist Candice Beaty OF CHANCEY CHARM WEDDINGS created this shoot at BOGLE FARMS in Georgia with a soft, yet deliciously rich colour palette. The beautiful photos by KATHRYN MCCRARY highlight the newness and softness of spring as it begins to shine through after the long winter. We're loving the colours of the florals by VICTORY BLOOMS and that sweet buttonhole with blackberries and hellebore is just perfect!